Bone marrow transplant is the only promising procedure with a potential for curing sickle cell disease in young symptomatic patients. 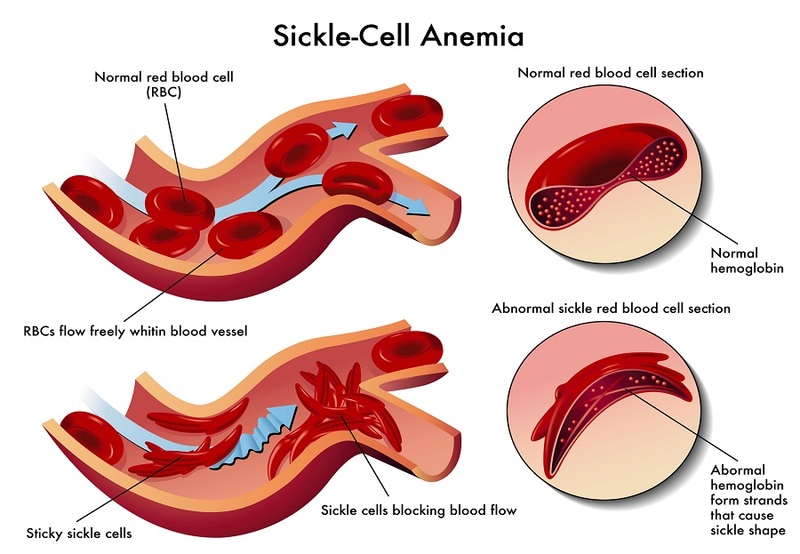 Sickle cell disease is the most common inherited blood disorder which is characterized by sickle shaped red blood cells due to the presence of abnormal hemoglobin(Hb-S) subsequently resulting in rigid,fragile RBCs, frequent hemolysis and microvascular occlusion(clog small blood vessels). Bone marrow transplant weakens and destroys cells or tissues that are responsible for causing blood disorders and replace them with healthy blood cells derived from the stem cells of the donor. This restores the normal healthy blood. BMT is, however, recommended for patients with severe SCD accompanied with symptoms such as frequent pain episodes, acute chest syndrome and stroke. Also reffered to as rescue transplant. “Auto” means self. In this type of transplant the stem cells from the patient’s bone marrow are extracted prior to chemotherapy or radiation therapy and then replaced back. “Allo” means other. Here, the immature bone marrow cells or stem cells are extracted from the donor. Allogeneic means from a genetically different individual from the same species and hence immunologically incompatible. Donor is healthy identical twin of the recipient. SCAN AND SEND YOUR MEDICAL REPORTS TO GET ABSOLUTELY FREE MEDICAL OPINION FROM TOP HEMATOLOGISTS AT WORLD CLASS HOSPITALS OF INDIA ALONG WITH TREATMENT COST ESTIMATE FOR THE SAME.